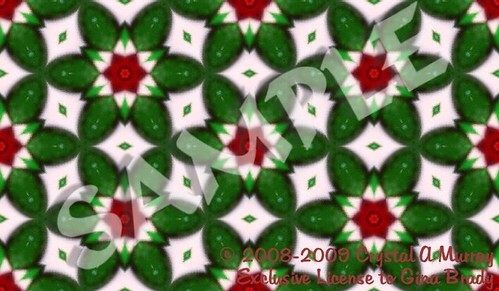 This is a sample of a kaleidoscope tessellation requested by, and created for, a friend (Gina) I met here on Flickr. She makes candy wrappers, gift wrap, bookmarks, etc., but her site is no longer online, so I'm not sure where to get her products any longer. Only sample tiles are available for viewing since I used her original picture instead of one of my own or one from Flickr with a CC license.